Hone your craft and connect with other writers, illustrators, and children’s book industry professionals at this year’s book fests and events. Grab your calendars and mark these dates. This is a full-day to immerse yourself in expert keynote speakers, manuscript critiques, and agent pitch sessions. This year’s event, themed “Time to Level Up!,” offers writers a choice of three different levels based on experience and goals. Read PB Rippey’s writer’s perspective on 2017’s event. Last year’s event also included illustrators. Read Lynn Becker’s illustrator’s perspective. 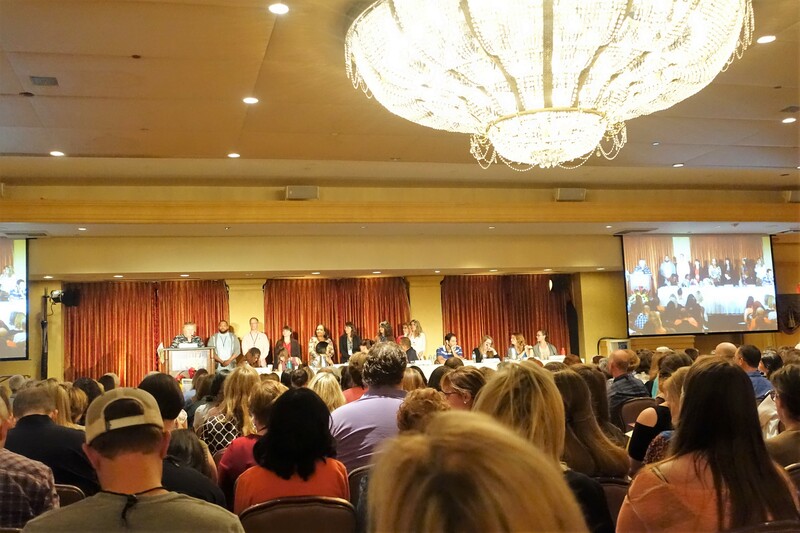 A panel at the SCBWI Summer Conference 2016. If you’re the type to make New Year’s resolutions, then your list probably includes goals like finishing that work in progress, launching a blog, or just plain writing or illustrating more often. While all of that will move you toward becoming published, consider adding “attend a book festival or convention” to your list, because nothing fuels inspiration like being surrounded by people who share your passion.